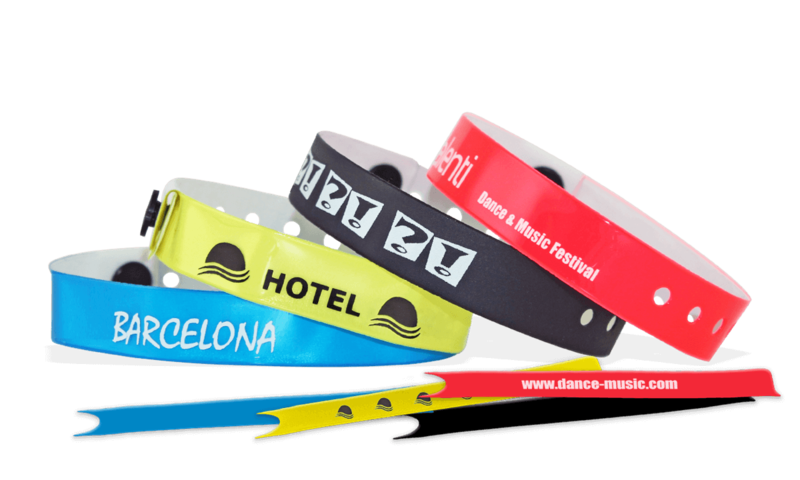 Custom narrow 13mm Vinyl wristbands are also waterproof, so they can be used for indoor/outdoor events and swimming pools. Our custom narrow 13mm vinyl wristbands are constructed of multi-layered vinyl for unbeatable strength, durability, and comfort. They are available in an array of vibrant colors and feature plastic locking clasps that make them the ideal wristband for high-security events. All imprints are printed in 1-colour only.